My kids are pretty excited to bake together, but add a scavenger hunt to search for the ingredients list? Well, they're going to love this! 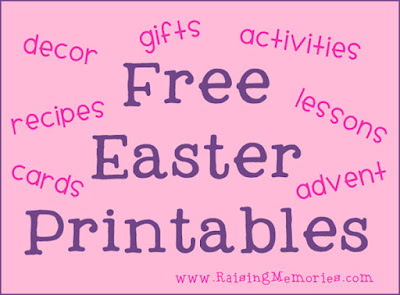 :) Colette from My Computer is my Canvas created this adorable printable scavenger hunt to go with her French Toast Easter Bake recipe (free printable recipe card coming up!). 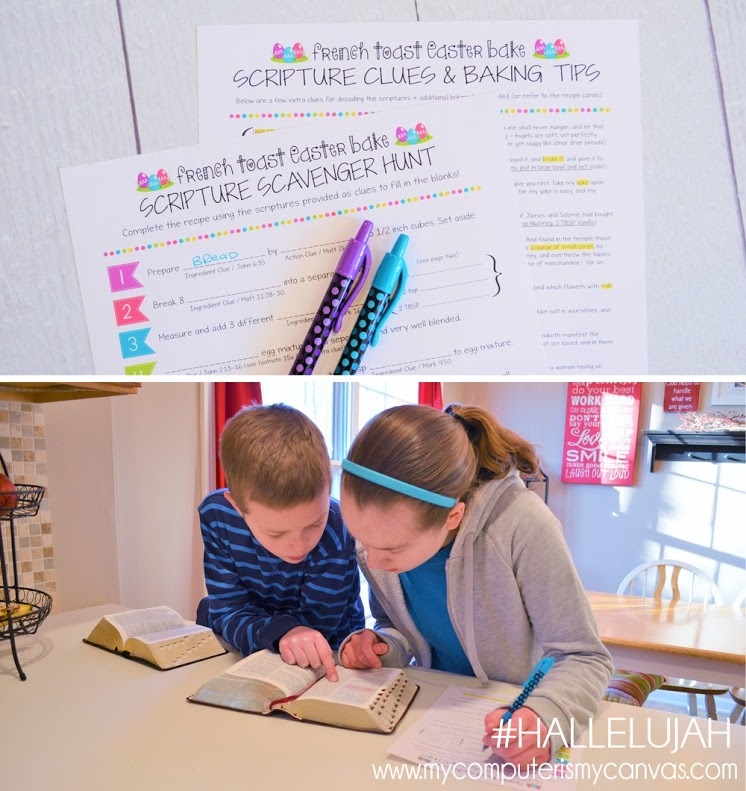 This cute printable scavenger hunt will send your kids into the scriptures to uncover the list of ingredients for the recipe (which you will have a cute recipe card for, with complete instructions and list of ingredients- just don't tell your kids before they complete their hunt! ;). I suggest starting this activity in the evening, with the expectation that you won't get to enjoy the final product until the next morning (make sure your kids know that, so they won't be disappointed when you send them to bed with the project in the fridge ;). 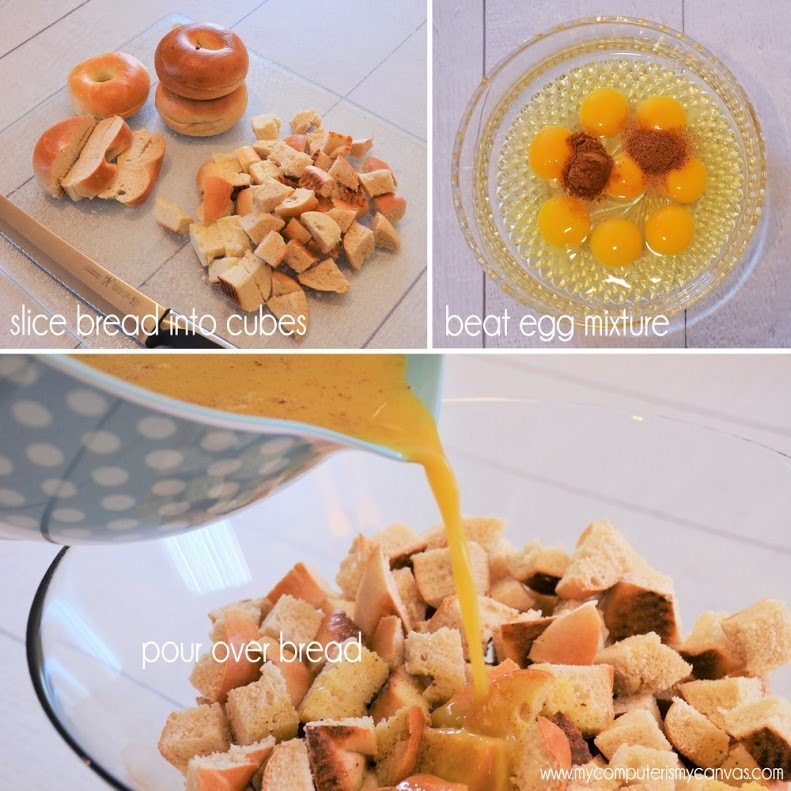 You'll have to cut your bagels into cubes, and that's the main work of the project! 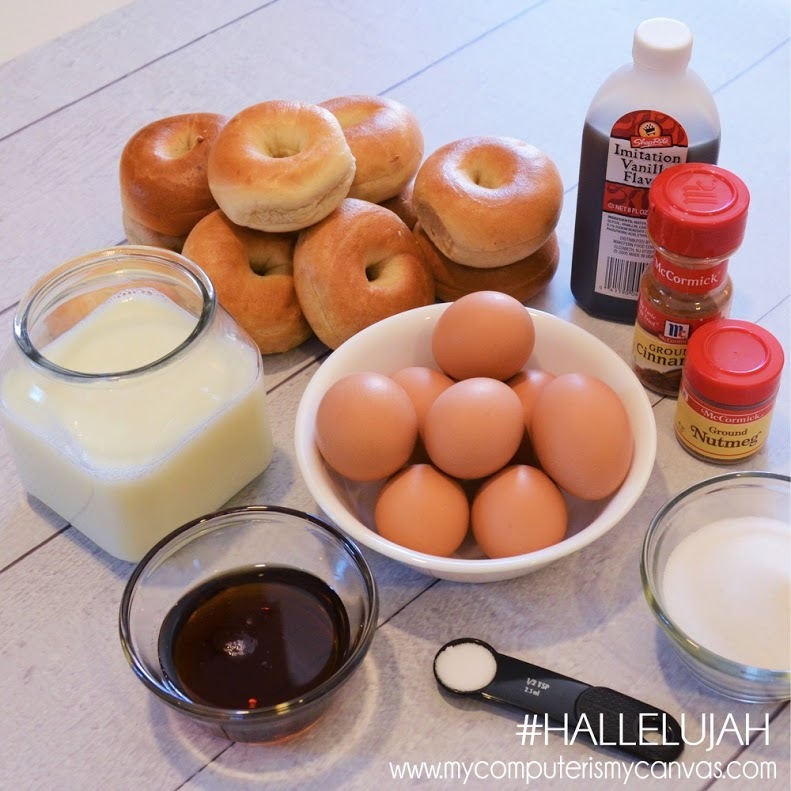 After that, you're beating eggs, pouring, tossing, and refrigerating.. that's it for the first night! We are definitely trying this one and I can't wait to taste it! 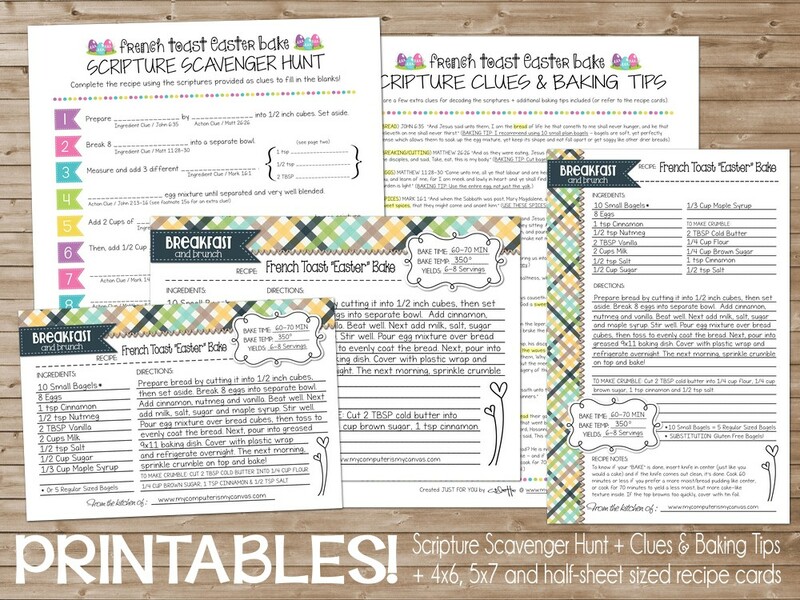 Included in your download are the Scripture Scavenger Hunt, some clues & baking tips, and 3 copies of the recipe (one with blanks to fill in when you've completed your hunt, and 2 full versions for your recipe box - a 4x6" and a 5x7"). Fun!! Thanks so much for posting, Heather!! You're so welcome! I love this project & can't wait to do it with my kids! that looks like a fun and tasty activity for Easter! Why can't I download your printables? Takes me to Box but then Box doesn't recognize the files. oh, that's not good! Can you tell me what you're seeing when you click on the link? Sounds like a blast and the french toast sounds amazing! I'd love to do this with my grandkids! I agree- can't wait to do this with my kids! 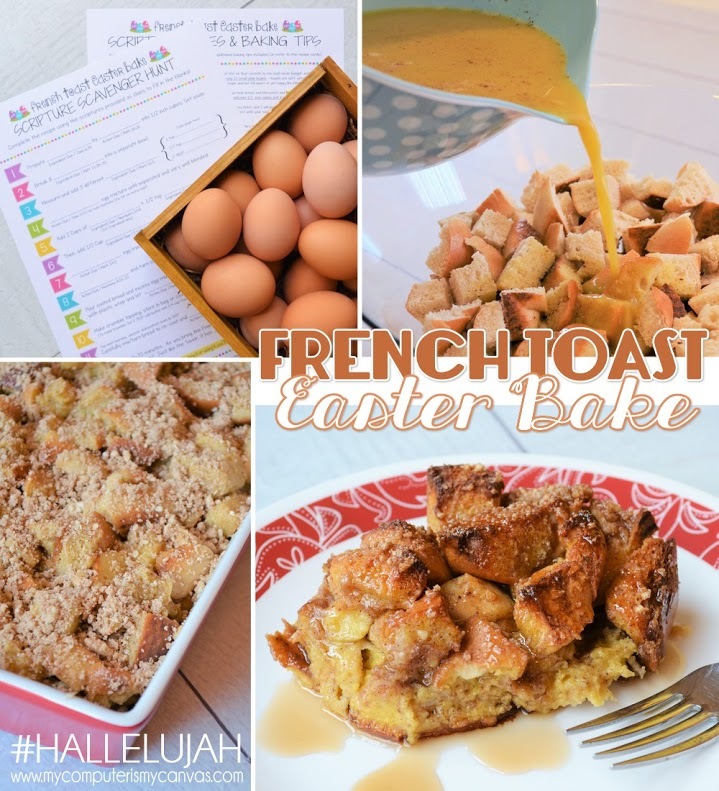 I've never tried a french toast bake.....sure does look incredible! 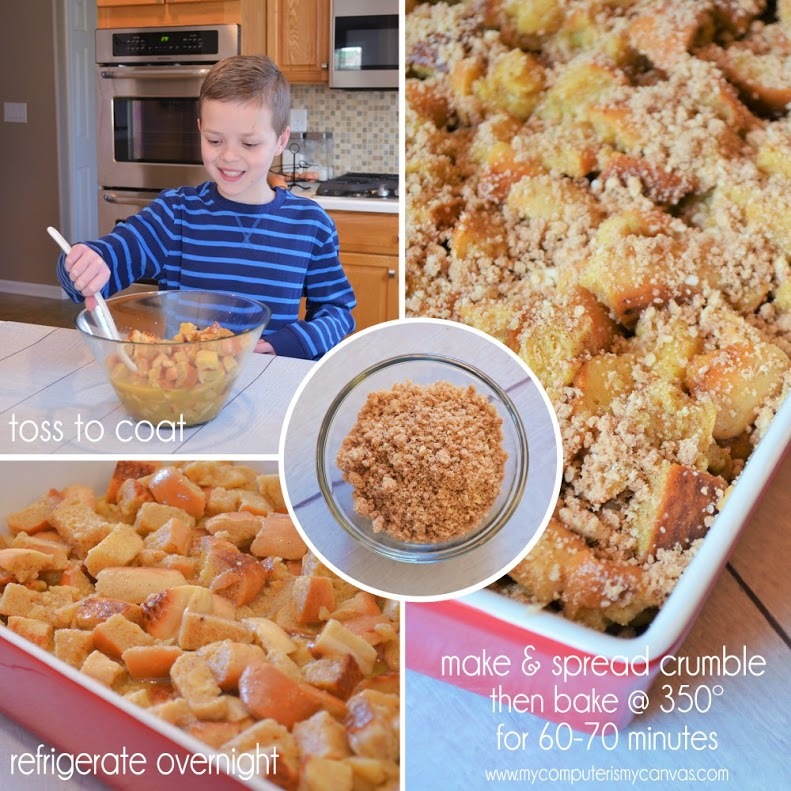 Your French toast bake looks really good. I think this could be used for our Christmas breakfast. Nothing better than a nice scavenger hunt after a tasty breakfast!